Drum on Content: Not Socks Again! Comments Off on Drum on Content: Not Socks Again! Whether you’re shopping for christmas gifts or making ads its time to embrace the unpredicatable if you want to be remembered past Boxing Day. By Luke Southern, Managing Director, DRUM. 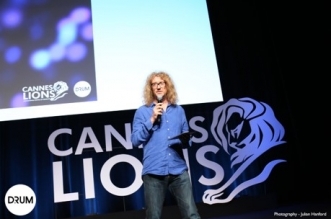 Earlier this year I had the pleasure of presenting on stage at Cannes Lions with Hamish Hamilton, the world’s pre-eminent Director of live events of the last 20-years that have shaped and defined popular culture. From the Super Bowl Half Time Show, to The Oscars and the London 2012 Olympic Games Opening Ceremony, Hamish has created moments where global audiences of billions stop, come together and connect around a shared live experience resonating with what they are interested in. Big cultural moments to tune in for, not stick the kettle on for. For Hamish and his team creating these moments is about brilliantly crafted ideas, created by a team of experts all coming together, aligned to a single vision to produce something special, magical and memorable. Creative vision, teamwork, planning and insights. Sounds like what we do? In Hamish’s world, risk, surprise and uncertainty are embraced as creative opportunities whereas in our world they are increasingly seen as creative barriers that should be removed, eliminated and avoided at all costs. With this in mind, it made me think that at a time where as an industry we are pushing to be more efficient with our creative work, to use data to deliver guaranteed outcomes and be certain of the success of a piece of work before it has even run, are we in danger of losing our ability to be exciting, surprising and to serve up to consumers not just what they expect but to exceed their expectations? Let’s consider Christmas for a moment. The UK’s very own ‘Super Bowl’ of advertising. There were 29 ‘big’ Christmas moments in the UK last year. Big campaigns, beautifully crafted work, yet how many of them will be remembered beyond Christmas 2017 and what’s their lasting impact on the audience? A handful at best. You could say, it’s all becoming a little too predictable. A little too risk averse. Just because Christmas takes place on the same date every year doesn’t mean Christmas advertising campaigns have to be executed in the same way each year and yet increasingly we are becoming tied to a set of predictable conventions. Family/gift giving/eating together creative construct. Tick. Merchandise line or tie in with big Christmas movie/IP. Tick. Like opening a Christmas gift that you bought for yourself (or asked someone to get for you), while satisfying, if you know what you are going to get is it really that exciting and will it hold your attention past Boxing Day? The certainty in what you are going to find beneath the brightly coloured paper removes the element of surprise and the chance for an unexpected outcome. If you put aside, the risk of receiving an ill-fitting jumper that you didn’t want from your Great Auntie Mabel, I would argue that most of the time not always being certain of what you are going to get is a good thing. 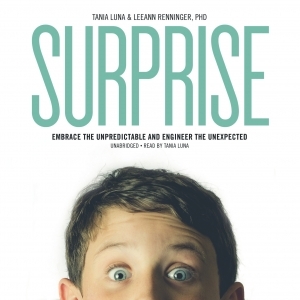 In their 2015 book – Surprise: Embrace the Unpredictable and Engineer the Unexpected, Tania Luna and Leeann Renninger argue that surprise, whether good or bad is essential for driving engagement and wonder. In fact, studies show that surprise ratchets up our emotional response by up to 400% and in doing so builds a stronger memory connection to the thing we saw, heard or the moment at which it took place. And in Hamish’s world there are surprise’s all over the place. The nature of live events, the anything can happen, reacting in the moment, keeping the narrative flowing, delivering the key messages (or in Hamish’s case hitting the cue points) and rolling with ambiguity without the benefit of post-production, re-shoots or hours spent procrastinating over a single frame in an edit suite is risky for sure but it does create the conditions for surprise and unexpected creative opportunities. Take the Oscar’s in 2014. Best remembered for the star-studded, record-breaking selfie of host Ellen De Generes and her celebrity pals. As Hamish explained on stage at Cannes in June, beyond a roughly planned selfie of Ellen at some point during the night the rest of it was completely unplanned. An unpredictable moment of surprise that was ‘off-script’ and would have been seen by some as a big risk, Hamish saw as a huge creative opportunity. The result? 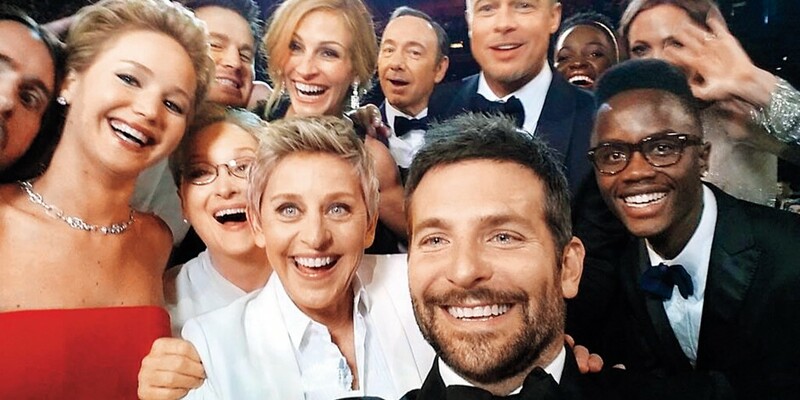 Creative and cultural gold for the event and for Samsung – the phone sponsor – and a moment remembered by more people around the world than who won the best actor Oscar that year (it was Matthew McConaughey for Dallas Buyers Club in case you were interested). It’s this approach from Hamish, his team and the world of live events, that I think we could learn much from in our often predictably rigid world of advertising. Embracing a little uncertainty in the creative process ensures the certainty that there will be surprises, unexpected outcomes and memorable moments. So, this year, when you are asked “what do you want for Christmas?” why don’t you say, “Surprise Me”. You will be risking the possibility of receiving something you don’t want but rather than getting the pair of socks that you would have predictably asked for you’ll definitely get a surprise. One that might exceed your expectations and almost certainly one that you will remember long after the most popular advert of Christmas 2017. 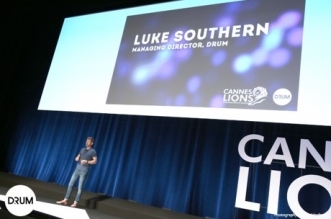 Luke is the Managing Director of DRUM, Omnicom Media Group’s award winning content & creative business dedicated to helping ambitious brands create and influence popular culture. In a world of ad-blocking and goldfish-like attention spans, DRUM helps brands create their own cultural signals – whether science documentaries, music videos or entertainment formats; things with real value for people that cut through the clutter. 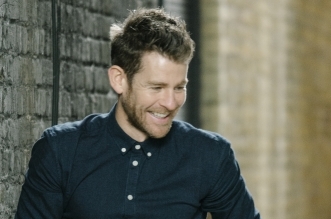 Prior to joining DRUM, Luke held Snr marketing positions at Virgin Media, PlayStation and Sony Music and has spent the last 17 years creating, curating and communicating the stories of some of the world’s leading entertainment & consumer brands.